Here at Picture Blast we started out supplying traditional photo booths for wedding, parties and a wide range of events. All of our booths were accompanied by attendants helping guests get the perfect photo. However the introduction of our new selfie pods has meant that there’s no need for our attendants! The stylish set up and easy to use booth prints unlimited photos and even has the option to upload your photos straight to social media. Don’t get us wrong, our booth attendants are great? We love them! 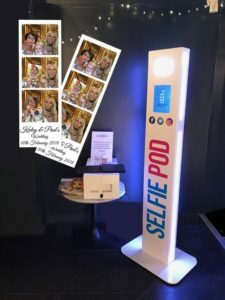 However if you already have a full guest list but still want to capture some great moments then the selfie pod is the perfect solution. With a built in HD camera and an easy to use touch screen, it has never been easier to become a selfie Queen/King! And with unlimited prints you can take as many photos of your wedding, party or event as you wish. All our pods are delivered to and set up at your venue, all that’s left to do is start snapping away and posing with our wide range of included selfie props. Planning one of the most important days of your life can be a daunting task. There are so many different aspects to consider… The dress, invites, food and entertainment to name just a few. Here at Picture Blast we have put together the top 5 tips when planning your big day! You’ve found your significant other and decided you want to get married! You want the venue to be perfect. Depending on your preference and budget, this could be an old English castle or a local town hall. Before you jump into booking the venue its worth considering how many people it can accommodate? Is it accessible to all the guests? What availability do they have? No one wants to be waiting for another 4 years to tie the not just so they can have the perfect venue. Choosing who you invite to your wedding day should be an exciting time! 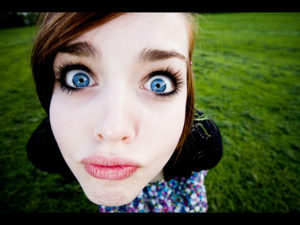 However the list can soon get out of hand, and before you know it you’re inviting everyone you know on Facebook. Just remember you will be paying for all of the people you invite and the cost can quickly escalate. You’ve booked the venue and agreed on the guest list, now it’s time to decide how to keep them entertained. Photo booth hire is the obvious option, a great way to keep guests entertained whilst photographing lasting memories at the same time. Perfect! Whether you’ve decided to go for a four course sit down meal or a mediterranean buffet to match the venue, the food served at the wedding (along with the brides dress) will be one of the main things guest will remember at a wedding! 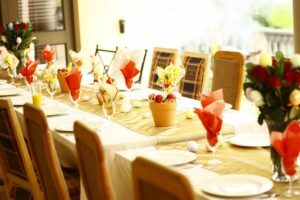 More often than not venues will organise the food and provide taster day prior to the wedding. Be sure to get everyone orders in early (you may also want to provide a vegetarian/vegan option). After months and sometimes even years of planning you’ve had your big day, and it’s all ran smoothly. Now its time for the two of you to enjoy your honey moon. Although not technically part of the wedding, traditionally the married couple go straight off on their honey moon straight after the big day. A time to relax and enjoy each others company. This may be a favourite holiday location, or somewhere new to you both. One of our best parts of advice not matter where you go would be to always mention that you are on your honey moon. You will be surprised at the amount of free upgrades and special treatment you will receive at restaurants, hotels and even on your flight.